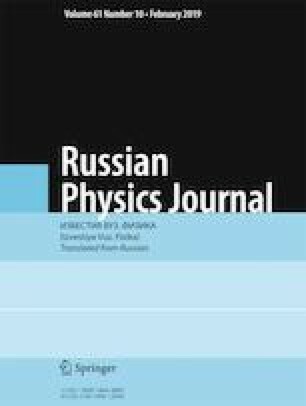 The paper proposes a mathematical model of thermal explosion in mechanically activated Nb–2Si powder blend. A study of the dynamics of mechanical activation synthesis of the Nb–Si system shows that preliminary activation of the initial powder components intensifies the formation of NbSi2 phase. Thermokinetic and thermophysical constants are obtained for the mechanochemical synthesis using the experimental data and the inverse problem method. Translated from Izvestiya Vysshikh Uchebnykh Zavedenii, Fizika, No. 12, pp. 57–64, December, 2018.